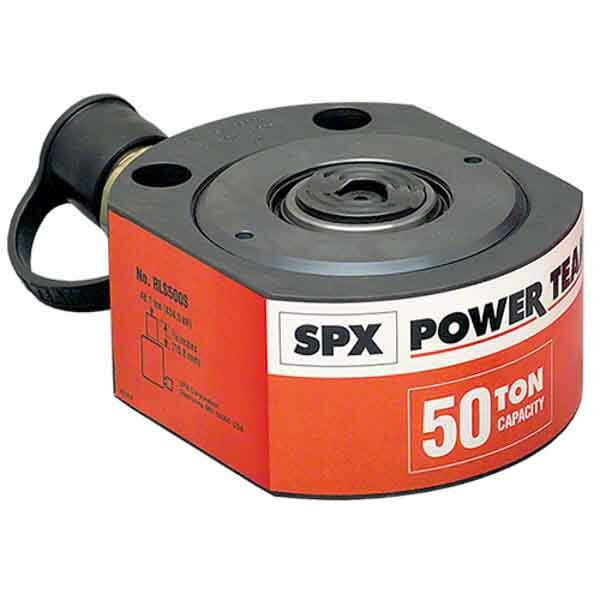 Pad jacks are our shortest form hydraulic cylinder and can fit into the smallest of gaps. The Shorty range can be used with additional mechanical cribbing devices; more stable than timber or other awkward, makeshift methods. Ideal for lifting applications such as structure moving. Reduces cribbing time dramatically. In effect, increases the stroke of the cylinder; stacking pads act as cylinder extensions. Single-acting, spring return “pancake” cylinders are designed for use in confined areas. 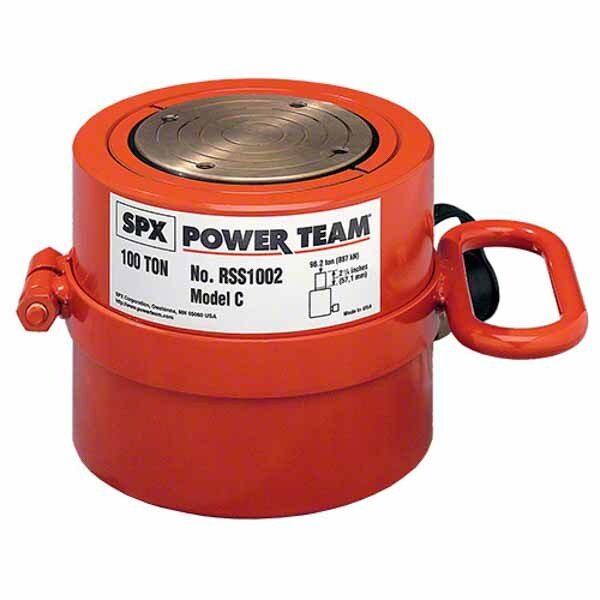 Single and double-acting cylinders suitable for work in confined spaces - the RSS series has a capacity range from 10-250 tons. With a compact design and constructed from top quality, durable material, each low profile cylinder available at SGS provides a reliable option for many different applications. Whether you need one for an industrial, commercial or personal purpose, a variety of pad jack and shorty hydraulic cylinders can be found, each one offering great value. From a powerful 250 ton low profile hydraulic cylinder to ones more suitable for less powerful situations, such as a 10 ton pad jack, solutions to many problems are available. Whether it’s jacking a car or tackling tougher tasks like bridge lifting, our superb products ensure you won’t go anywhere else for a low profile cylinder. Don’t hesitate to get in touch if you need some help choosing the perfect cylinder for your needs. Call our technical department on 01332 576 850 and someone will sort you out as quickly as possible.